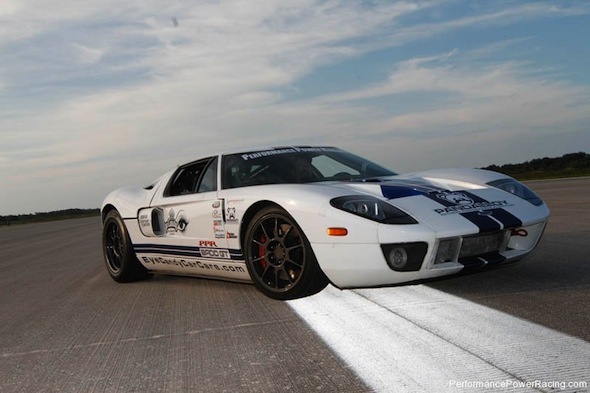 It's probably fair to say this is the most powerful Ford GT in the world. That's because one in America has just snatched the World Record for the Fastest Standing Mile-Street Car... at 283.232mph! It's no normal GT, though. 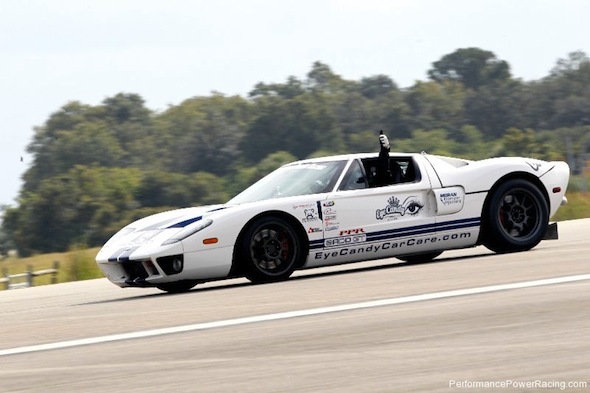 Dubbed "BADD GT", it's been highly modified by American tuning firm Performance Power Racing and the car now throws out 1,700bhp! That almighty power figure comes from a heavily worked on version of the GT's standard 5.4-litre V8 engine. The car's normal supercharger was ditched and replaced with an upgraded factory intercooler and a twin-turbo system. The outfit also worked on the fuel system allowing 25 per cent more fuel to be pumped through, and various components such as the gearbox were fiddled with to handle the 1,700bhp. The record-breaking run was carried out on NASA's Shuttle Landing Facility Runway at the Kennedy Space Centre, in Florida.